My pirate joke is a hit with my preschoolers when they cannot remember the letter Rr. 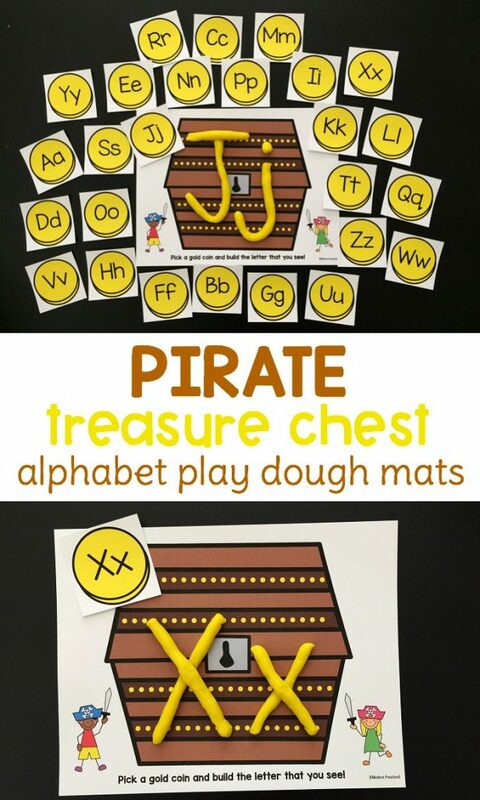 It’s also the perfect reason to create our pirate alphabet play dough mats. Practicing letter formation with uppercase and lowercase letters while playing with play dough strengthens alphabet and fine motor skills. This free printable set includes a treasure chest play dough mat and 26 gold coins. Each gold coin has an uppercase and lowercase letter printed on it. Print out the set from the file at the very end of the post. Laminate the treasure chest play dough mat or use a plastic page protector to keep the paper from getting ruined by the play dough. Cut apart the gold coins on the gray dotted lines. You can also cut the circles out, but I’m all about keeping thing simple and saving time! In my classroom, I have 4 copies of the treasure chest play dough mat going in one center. This way, all 4 preschoolers can use the same gold coin letters at once. 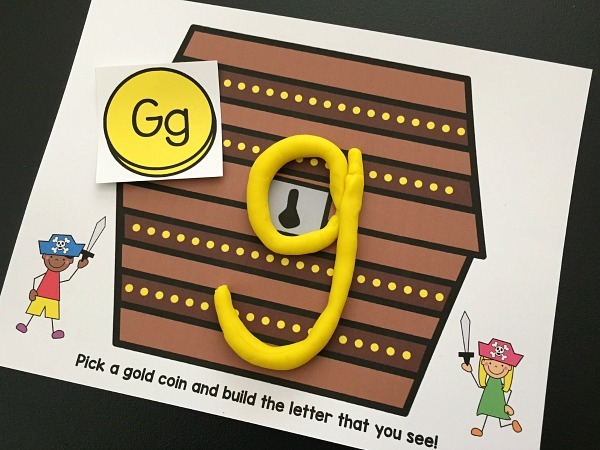 Pick a gold coin, build the letter! 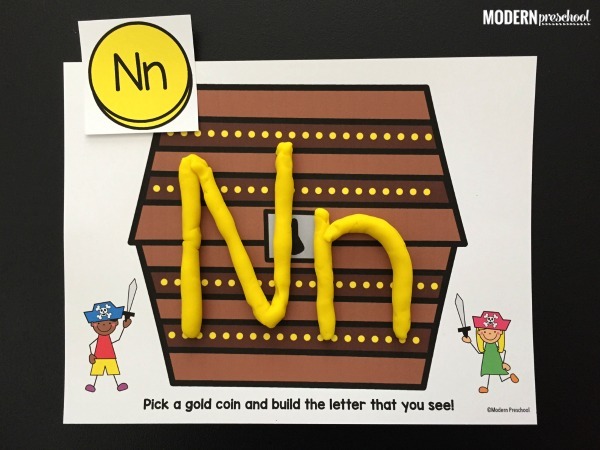 The great thing about this pirate alphabet play dough activity is that it can be used at the current level that your kids are at. Some of the kids can use just the uppercase letters that they are currently mastering. Other kids can use both the uppercase and lowercase letters on the gold coins. Or there is the option to only build the lowercase letters on the gold coins. No matter which way it’s played, letter formation is practiced with this super fun activity! Keep going! 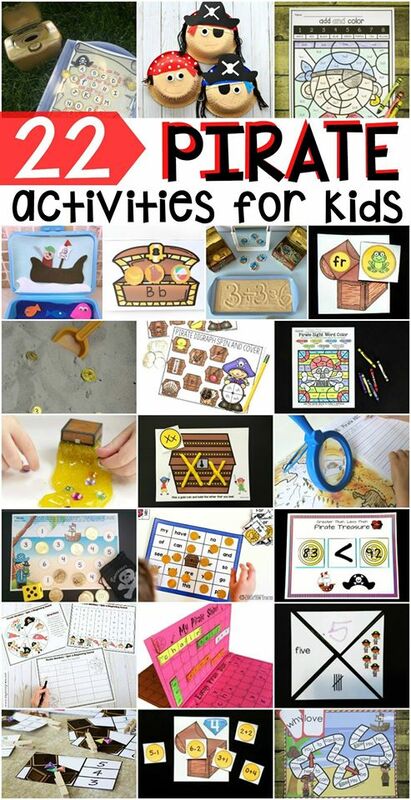 You don’t want to miss these super fun pirate themed activities! 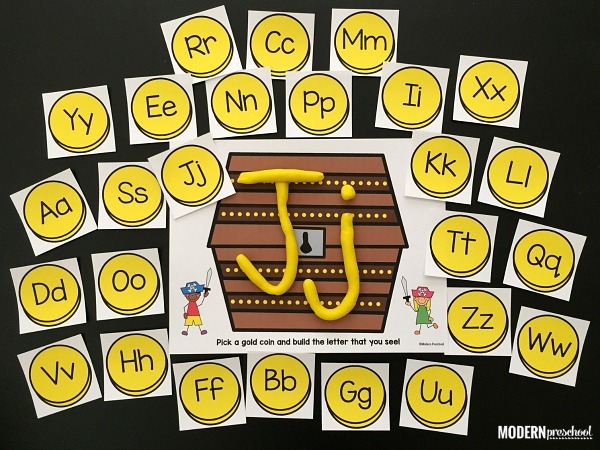 Don’t forget to download our Pirate Alphabet Play Dough Mats at the end. 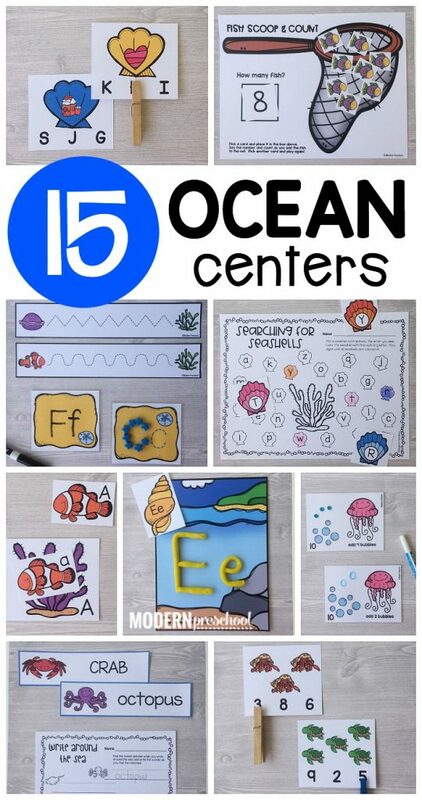 After you find your pirate treasure under the sea, read about these must-try ocean printable centers! Printable activities are some of my favorite to use with my preschoolers because they can be reusable AND are such a time saver! Grab the pirate alphabet play dough mats now!